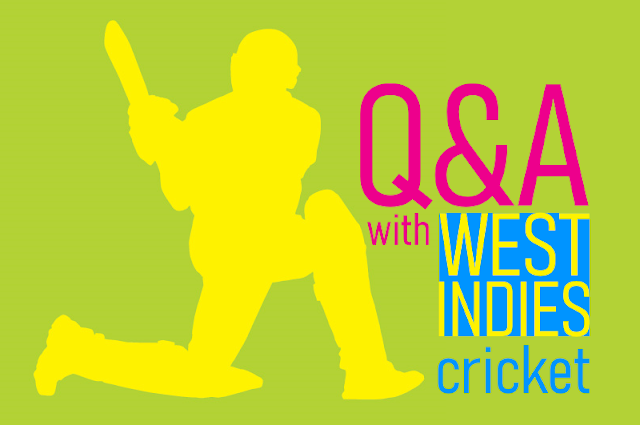 What are some recent technology related things that Cricket West Indies has implemented? New digital platform being built with an updated website, data warehousing, CRM - starting in September 2018 with ongoing updates and upgrades. Upgraded Sports Performance analysis including live video of all professional games for performance analysis, including full data capture of player performance. Live Streaming of WINDIES, Super50 and West Indies Championship games, linked to social media. What future technologies are coming in cricket? Sports science technology and psychological products to improve hand eye coordination and mental improvement - the rate of development here is incredible and it’s developing so quickly that we anticipate testing and reviewing products to see how they can help strengthen cricketing performances. Ultimately it’s how you use these with coaching, because every international team can generally access the same products and technologies, subject to their available resources. How hard is it to manage Cricket West Indies' social media? The challenge is, as per all sports organisations, to review and moderate the number comments across Facebook, Instagram, Twitter and YouTube, to maintain it as an engaging environment for fans. As social media continues to grow, it requires additional resources . However it remains a vital means by which we can receive feedback from fans and understand strength of feeling on different topics. The more successful you are in terms of West Indies and international followers, the more you need to plan how you best manage social media in terms of financial investment, people, time and understanding new opportunities that are constantly presented. Secondly, the players have their own social pages. Ultimately they’re responsible for their own content and reputations. They have a great opportunity to build their own profile and fan bases as well as promoting the WINDIES and West Indies tournaments. It’s all about getting a balance between creating exciting and engaging content whilst maintaining the right image. Can we use AI for strategy and team selection? Potentially yes, to support in building the knowledge base around players. However there will always be the need for cricket expertise that looks beyond stats and numbers into technique, preparation, mental strength, preparation, fitness/fatigue. You need to know the mental side of players, their fitness and fatigue levels, and every player is different in a way that AI would be a long way from understanding. Performance is about incremental gains and there will be areas where AI might be useful, but where the human eye, expertise and understanding of the technique and the game will be more important. Are we going to be able to live stream West Indies games in the future? We are already live streaming WINDIES women’s games as well as certain Super50 and all West Indies Championship games. Our aim is to increase the opportunity for fans to watch the WINDIES, especially getting more fans back into the arenas to bring the noise, colour and support which makes cricket in the West Indies so special. If we can stream games without damaging live spectator attendances we will. We also need to consider our international broadcast and digital rights. These deliver the majority of CWI’s commercial revenues because we have broadcasters all over the world wanting to show both live and highlights coverage of WINDIES matches. With the growth in watching TV and live sport through devices other than TV, we need to balance how we get our games live in as front of as many fans as possible and maximizing the right revenues we receive to invest in the long-term health and development of the game. Will West Indies cricket adopt this tech for training (http://www.speculur.com/)? Our performance and coaching team consider all the options based on a long-term strategy and specific needs to improve technique. We constantly review equipment and technology to see what can help us improve technique, endurance, fitness, mental performance and overall performance. How can tech be used to get back interest and fans to West Indies cricket? Does West Indies cricket have (or see the need for) a Sports Data Analyst? We have analysts already backed up by full sports data software. All of our performance analysis is done through a major investment covering streaming, scoring, performance tracking, fitness and more.